Christmas Time in the Eyes of a Child is a light-hearted secular Christmas song for children, although it could be performed by adults. This version is specifically arranged for children’s choir with piano accompaniment, and can either be sung in unison or in two parts (SA). 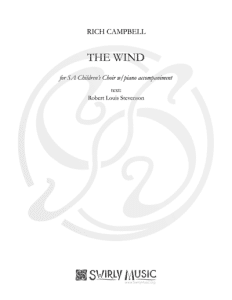 There is also a solo version and a mixed choir (SATB) version available, the latter incorporating an optional part for children’s choir.